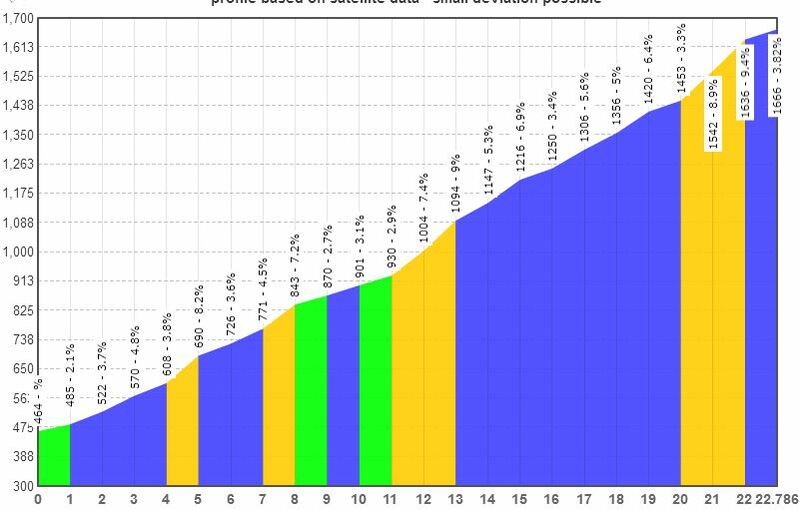 Cycling climbing profile of Semnoz from St Jorioz. Cycling climbing profile of Semnoz from St Jorioz. Semnoz/Cret de Chatillon dominates the skyline of the west shore of Lake Annecy in the Haute Savoie. The climb leaves the village and climbs steadily through a series of switchbacks for 13km through the villages of Saint Eustache and Chapelle Saint Maurice before arriving at the intermediary Col de Leschaux. The next 10 km are at a reasonably steady 6% through forests. There is a little respite before the final challenging 3km towards the top of the climb touching 11%. The Tour de France climbed to a summit finish on Semnoz as recently as 2013, with the Colombian Movistar rider Nairo Quintana riding to victory.